With an attractive yet simple touch screen, the Mirage has shown itself to be a user’s delight. The Mirage comes with factory fitted ‘jets’ that are designed to increase resistance throughout a workout session. 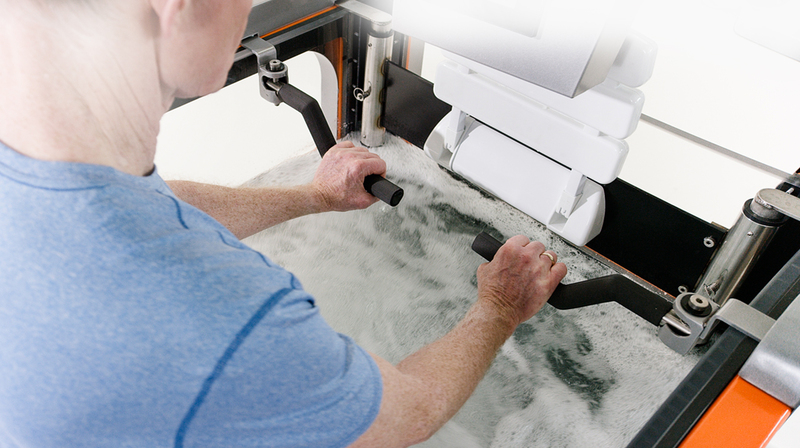 Additionally, the Mirage’s ‘easy lift’ feature makes cleaning under treadmill a breeze! The Mirage has a powder coated frame which assures excellent durability. The Mirage comes pre-assembled, which allows for a quick ‘plug and play’ installation. 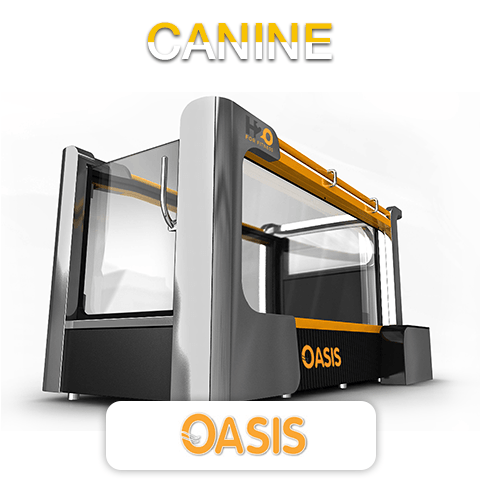 The exercise chamber can easily be rolled through a standard door way, which makes future changes in location for the unit convenient and easy. 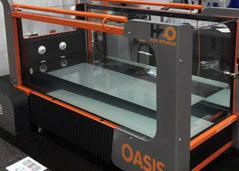 For gyms and physical therapy clinics, adding the Mirage as a commercial underwater treadmill makes sense because it is both, a highly profitable investment and a valuable asset that allows them to help people in need reach their fitness and rehabilitation goals. Resistance jets are a great enhancement to aquatic therapy, sports performance training, rehabilitation or deep tissue massage. The water pressure can be modified to various levels of flow in addition to configuring the jets in multiple directions. Powerful, reliable, quiet and energy efficient pumps. Programmable heater embedded with energy saver mode when not in use. Increase strength and cardiovascular fitness with the ability to incline the treadmill chamber, while the patient is exercising, via the push of a button. Automatically inclines up to 15% if needed. In-depth product training provided, on how to use and maintain the system, during installation. Receive information on how to charge, ROI and other elements that accompany a successful hydrotherapy program. Mirage CLASSIC goes from 0.5 mph to 5 mph in 0.1 mph increments. Mirage PRO goes from 0.2 mph to 9 mph in 0.1 mph increments. Belt can work in forward and reverse as well as be run dry. Easily control the operation of the entire system with the touch of a button! Program up to 100 different types of treatment sessions for effortless operation. H2O for Fitness offers a new yet affordable product to the field of rehabilitation. The healing power of water has been known to man for centuries. 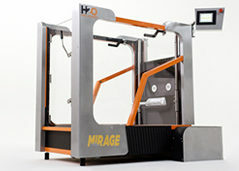 H2O for Fitness has tapped this potential in the form of hydrotherapy and we are excited to present this power in a package called ‘The Mirage’. 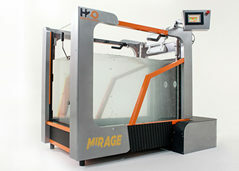 The Mirage is the latest aquatic therapy treadmill offering in the H2O for Fitness product line. 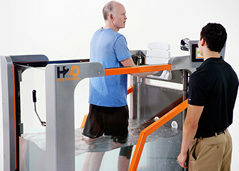 With over 75 years of manufacturing experience under their belt, the ‘H2O for Fitness’ team is excited to present this brand new underwater treadmill exclusively designed for humans which will revolutionize the world of hydrotherapy.